It’s true that SYRIZA has been a bit confusing as to what exactly they are going to do if they were to form a government. The party, an until recently small leftist party composed of different fractions that tolerated different opinions within the Left, has seen several of its members announcing contradicting promises. Its ennemies, PASOK and New Democracy basically, have used this to their favor. 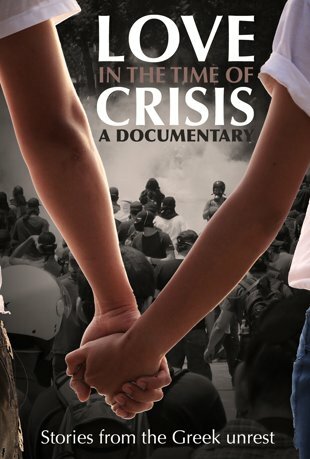 They started a huge campaign to discredit SYRIZA by reminding us on a daily basis of what would happen if SYRIZA comes to power. The EU has followed suit and here we are now, having daily predictions of a post-apocalyptic, Armageddon-style Greece if SYRIZA wins the elections. 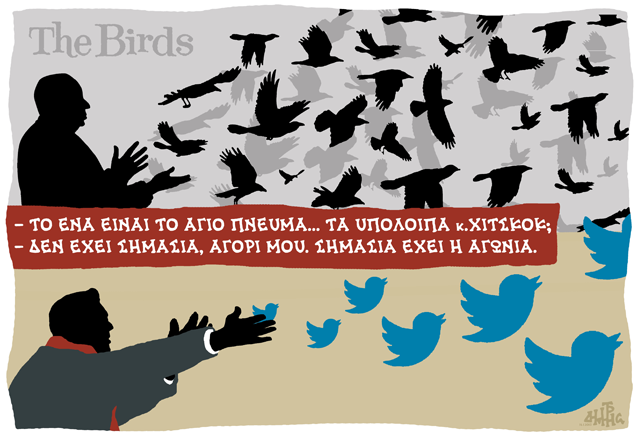 The daily threats have returned together with the elections for the European Parliament. 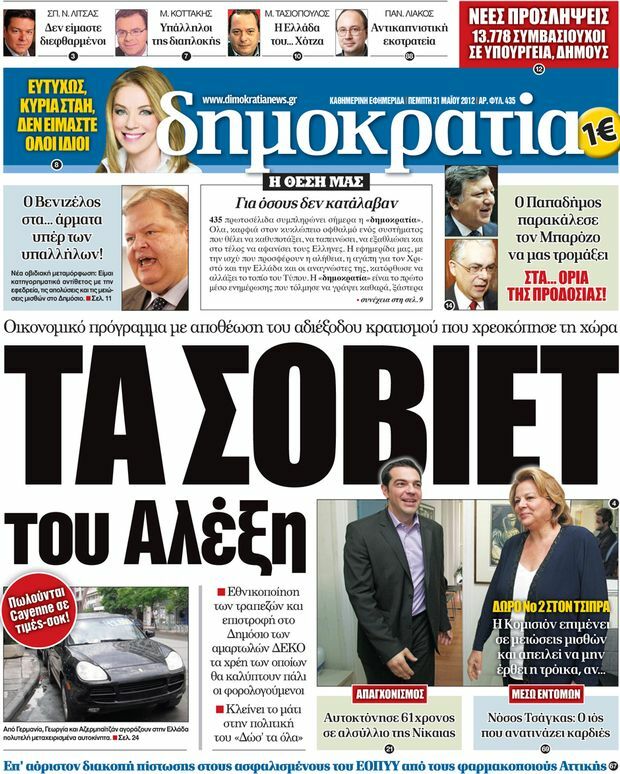 The government has been trying to remind its citizens that the future is uncertain should they dare to for SYRIZA. Prime Minister Antonis Samaras has repeatedly warned us during the past 2 weeks about the instability that will haunt this country of SYRIZA wins the elections. The government’s vice chairman and coalition partner, Evangelos Venizelos, has even threatened that he will step down from the coalition [which would cause its collapse] if his party will not get enough votes. And then, let chaos reign this country. 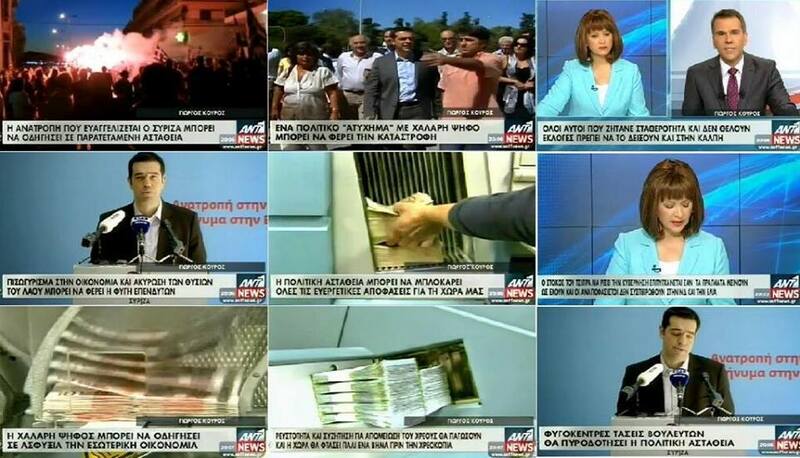 So here’s a series of screenshots from the news bulletin of ANT1 TV and a rough translation of the super titles. Oh, by the way, these fearful messages are not dispersed throughout the week, they are all from the very same news bulletin. Imagine the horror one can feel after watching news like this. And, yes, imagine what he will vote tomorrow. 1. 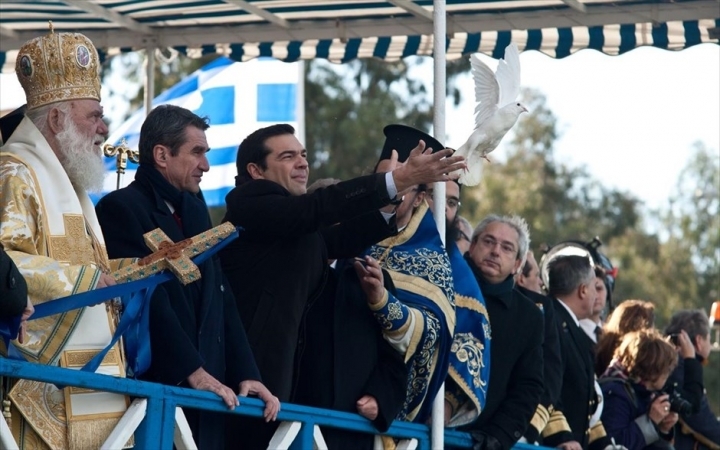 The overthrow that SYRIZA preaches could lead to prolonged instability. 2. A political “accident” (a reference to Samaras who has said that a SYRIZA victory would be a political “accident” for the country) by a loose vote (ie less cohesion for New Democracy voters who might want to vote SYRIZA out of protest) could bring catastrophe. 3. All those who want stability and not [national] elections should show it at the ballot box. 4. The discouragement of investors [by a potential SYRIZA victory] would drive the economy backwards and will cancel the people’s sacrifices. 5. The political instability could block all the beneficiary decisions for our country. 6. 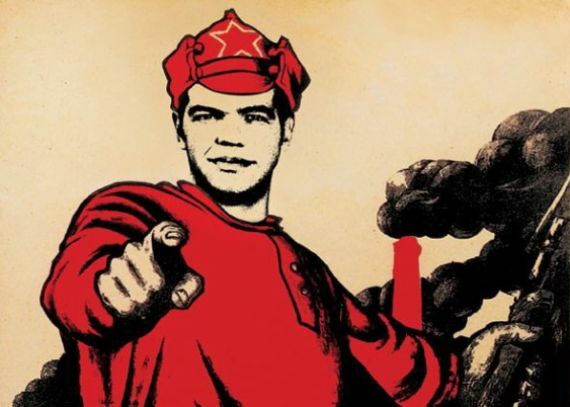 Tsipras’ goal to overthrow the government can be achieved if things stay as they are and the undecided voters will not vote for New Democracy or PASOK. 7. A loose vote could suffocate the domestic economy. 8. Currency fluidity and the discussion for a new haircut would freeze and the country will be again a month before going bankrupt. 9. The political instability will trigger centrifugal tendencies to many MPs. Now, most of you must have heard about the rumors. If SYRIZA wins the coming Greek elections, Greece will get out of the eurozone, the EU and might even be expelled out of the solar system. 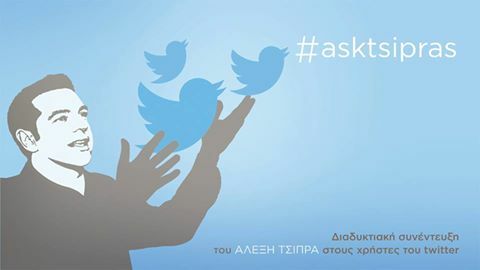 Here’s one of the official adverts by New Democracy, the right-wing chief opponent of SYRIZA. The video has been characterized as immoral for its use of children. Paradoxically, the classroom of the imaginary post-elections, SYRIZA-ruled, drachmaggedonized Greece looks much nicer than most of the classrooms in Greek schools today. The kids look healthy, no one is fainting because of malnutrition and, oh yes, they even have books! 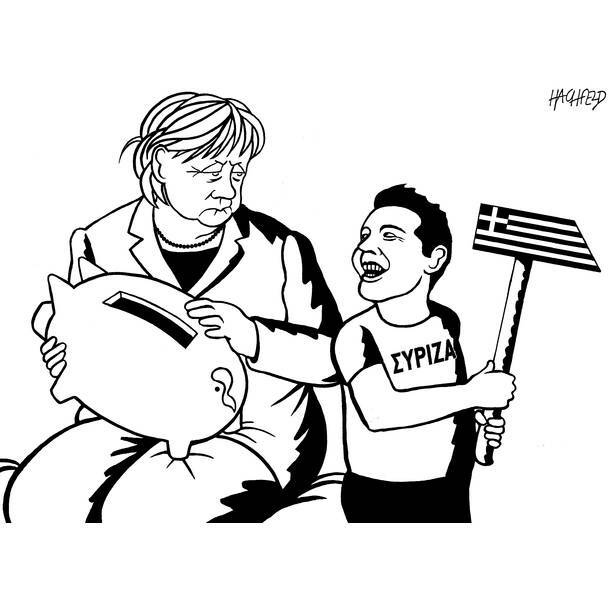 One might even think that we will be better off if we go back to the drachma. Another video I wanted to post is a clip produced by New Democracy’s youth organization, ONNED. 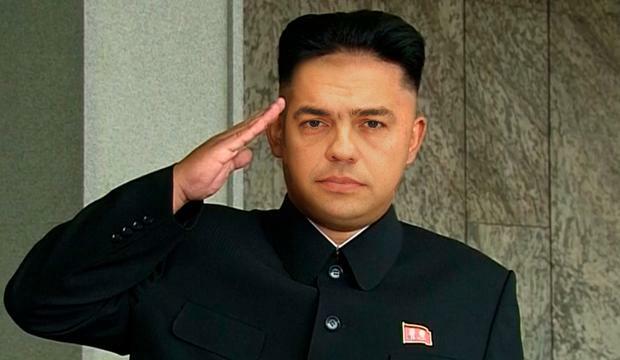 It’s a satire on Alexis Tsipras, SYRIZA’s leader. So the EU and the eurozone is the expensive restaurant where we used to eat for free, enjoying fine French wine and blonde chicks in our Erasmus years. But the bill has come and we don’t want to pay it. Unfortunately, the producers have lost their contact with society. Greeks have stopped eating in fancy restaurants years ago (we’re soon to complete the 2nd year in the economic crisis) and for sure we won’t return there soon if New Democracy comes to power. For those who might think that I am a chief propagandist for SYRIZA, the only accurate thing in the video is Alexis’ swashbucklerness. For those who are not convinced about New Democracy’s Greek old-school political practices, and about why nothing will change with the traditional parties in power no matter how much they express their regret for their old sins, here’s a video from a meeting of New Democracy members in the northern Greek region of Kilkis. The party’s chief campaigner in northern Greece, Panagiotis Psomiadis, is also present. He has a long history of accusations on corruption issues and had to step down from his post as Governor of the northern Greek region of Macedonia because of another scandal. That happened only several months after he was re-elected with 53% of the votes. If you wonder how this could be possible, see this great example of Greek state clientelism.